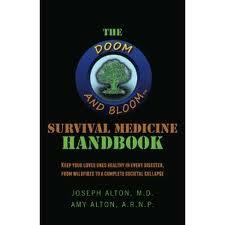 For several years, the “go to” medical handbooks for survivalists have been Where There Is No Doctor and The Special Forces Medical Handbook. Both are great resources and deserve spots on your bookshelf. But, I’m here to tell you there’s a new medical book in town and it blows both of those texts out of the water. One of the areas where this book really shines is they discuss herbal remedies and essential oils as part of the overall care of patients. Recognizing the slim likelihood a prepper will have access to a full pharmacy after a major societal collapse, advice is given as to how best treat the various injuries and illnesses without restricting that care to pharmaceuticals. They also present the reader with extensive lists of medical supplies to be stocked up in advance of a collapse. Additionally, they recognize the fact that a single volume of medical advice will not suffice in a large, prolonged disaster. That being the case, they present a wonderful discussion of the skills a future “medical officer” in a retreat group should go to great lengths to learn in depth. While the use of complicated medical terminology is unavoidable in a book like this, the authors make great efforts to ensure the topics are easily understood by the layperson. Overall, I would say this book deserves inclusion in any “top ten” list of books important to the prepper and survivalist. You can find it here on Amazon. We’re honored to have survival weekly review our book. They have done a lot for the preparedness community, and we are glad that the book was deemed useful for those who will take responsibility for the medical well-being of their loved ones in times of trouble. To those people, thanks for picking up the flag; have no doubt, you will save lives one day.